If I had to pick a favorite stone (and could only pick one) it would have to be Jasper. There are just so many variations available from the Red Poppy Jasper all the way to Ocean Jasper. So of course when Lisa of Pine Ridge Treasures offered the opportunity to get a kit filled with Jasper and Ultra Glass Pearls from Znet Shows, I couldn't resist. And of course I had to show off my design. Here's a close of up of the beautiful Jasper! 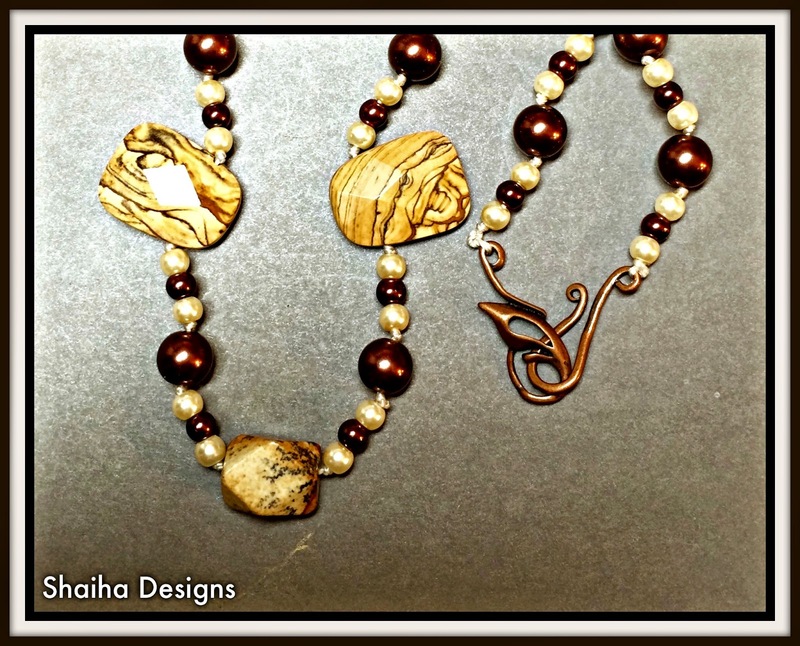 The designs on these stones remind me of a desert landscape. If you enjoy making jewelry from mystery kits, I highly recommend joining Pine Ridge Treasures. Lisa always have these wonderful challenges that are so much fun. 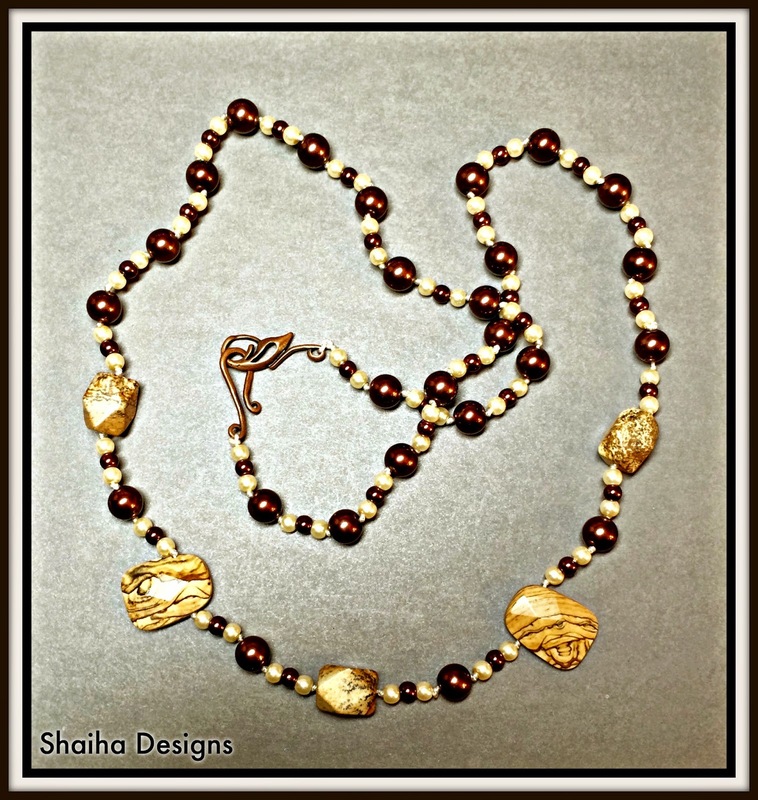 Your necklace is beautiful Shai. I love your necklace, the colors are just beautiful. Jasper is also one of my favorites. There are so many variations.